Employees are the strength of any organization. Only when they give their best, the organization can reach its goals. This is a point where most of the managers take the trouble. Sadly, 1 out of every 9 employees in an organization is out of control. They’re on social media sites and feeding latest social updates. Looking for sale, offers and designer outfits on an online shopping site like Flipkart, Amazon, eBay etc. Conquering a massive multiplayer kingdom. Watching funny videos. Even worse, leaking your confidential information outside the network – but who was the one? None of the employers have time to babysit and monitor browser activity of every employee – and spending valuable time. You have a business to run! So in this article, let us see what the challenges are in increasing the employee productivity and the solutions for them. Monitor employee’s computer on our Local Area Network. Whether you’re monitoring IT organization’s workstations or School/University campus network users, catch them red handed with proof. Take legal action. Monitor without them knowing – Monitor the activity of your employee without letting them know that their computers are in real time and you’re viewing from your own PC. The software will work invisibly, without slowing down the PCs. Record Keystrokes – See what’s happening as it’s happening. Track the Websites Visited – Track who? From what? For How many hours? Was on the social media sites, every day this week? And let them explain why? To the HR. Monitor multiple computers at the same time in a PC from your comfort zone. See disasters coming and prevent them from happening. Get screen Captures and Generate Report. Then show the toxic employees how they are simply wasting their productive hours with the evidence. Even better, if you show everyone. Record Their e-mails. End IP theft, leaking of confidential data, workplace harassment and more. There are some misconceptions and wrong practices like making the employees working for long times continuously, restricting the employees to take some small breaks, having a small chit-chat with colleagues for a while or restricting the internet services strictly. Managers may think that with these steps, they could get the productivity and high quality for their organization. But this is completely wrong. Men are not machines. We can program a machine to work continuously and give productivity. However, we cannot use machinery for all the works. Because they are not as creative as human beings. But you know, controlling our minds is so difficult. That is an art that can’t be practiced by everyone. It needs a lot of motivation. A manager cannot motivate all his employees to work up to the mark. Nowadays, there are so many applications and games that make people addicted and kill valuable production hours. They are using the resources for their personal interest. And this problem is addressed as cyber-slacking. The act of employee using the company’s internet and other resources for personal and non-work related purposes. Now, the use of the internet is unavoidable in your office. You have to provide your employees with internet facility to work. Social media is the most addictive thing. Facebook, Twitter, YouTube and many other social networks have entered the daily routine of everyone. So there is a chance that most of your employees drifting off on the social sites. 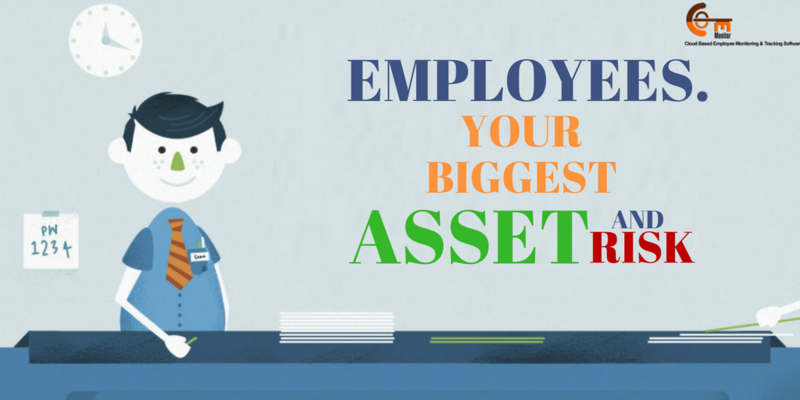 If you have 3-4 employees, you can monitor their activities. But what if you have a hundred employees? Thus, cyber-slacking seems a tough thing to deal with it. New technologies invented and adopted quickly. If you don’t adapt them, we can’t withstand the tough competition from your rivals. So you have to use the new technologies. But it’s not like all your employees are adaptable. They may or may not understand the new solutions. Thus, your employees’ productivity may decrease. Deadlines motivate your staff to work. So, it would be better setting deadlines. But most of the employees make a mistake by setting tighter deadlines. These deadlines make your employees working restlessly. From a recent study made by the researchers of University of Melbourne (Australia) and Keio University (Japan), brain function declines once a man work for more than 30 hours a week. This effect is so high in the people aged above 40. Here in the below chart, you can see the loss of productivity of employees in North America due to stress. So tighter deadlines and stress turn as a barrier to the productivity of the employees. These are the primary challenges that most of the employers are facing in making their staff more productive. But fortunately, these all are not beyond the control of us. There are some alternatives to face these challenges. First the activities of your employees and make performance reports, so that you can easily identify the toxic employees. 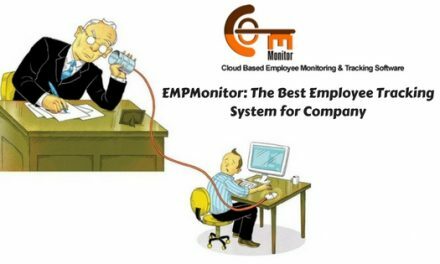 There are many solutions like EmpMonitor are available in the market. These tools can monitor the cyber activities of your employees and make the precise reports on how productive they are. This can be the documented evidence to fire on toxic employees, if necessary. Don’t discuss them with the other team members. Don’t waste more time on thinking about them. Give direct feedback to such employees. Ask them whether they are facing any problems on and off the work. If so, provide some counseling with experts. It would be better to isolate them at work. If they interact more with other employees, they would rile up the latter ones. Technology a gives a solution to every problem that we face in our daily life. 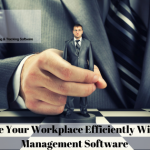 There are many software packages available for monitoring the PC activities of your employees. These are generally called the employee monitoring software. This software captures the screenshots of the PC with a certain duration of the time interval. It also records the keystrokes that are used on that PC. Besides, you can block websites that are not related to your work at all. Generally, many employees spend their time shopping online. You can easily block such websites with the help of this software. You can install the software on the PCs of your employees and be the admin of it from your PC itself. The best part is, the employee cannot know that the software was installed. So, you can warn the cyber-slackers with clear evidence of their activities. 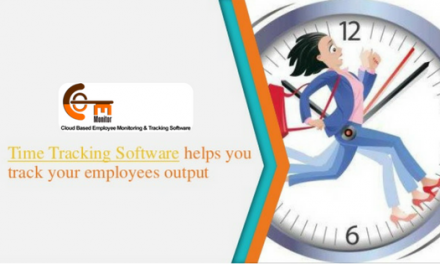 Thus, this software helps you in making your employees productive. In other ways, it helps you in identifying the employees who work sincerely for you. Rewarding such employees is the minimum charge of an employer indeed. Further, we address this thing. As mentioned earlier, use of advanced technologies can be a problem sometimes. But it would be a problem only when you think that your staff can learn everything by their own. Not all people can make it. So, provide your staff with proper training sessions on that technology you are going to use. You may have to spend some productive hours on these sessions. But these can save you a lot in the future. You can deploy an expert or someone from your staff who expertises the technology for the training sessions. Yes, you read it right. Social media and some other informative sites help your employees getting knowledge and relaxation as well. Especially for marketing and digital marketing employees, this helps a lot in improving their tactics and skills. In a way, it opens doors for your business promotion too. Here is a study that shows how employers are encouraging their staff to use social media for the purpose of their business promotion. So, let them surf on social media. Just keep an eye to make sure it is not misleading them. However, monitoring tools are there for you to control them. Employees work for you. And you pay for it. But it is not balanced. You have to connect them emotionally too. They want a word appreciation at least. This gives them new energy and confidence. So that they can work more effectively. If an employee does really a nice job, reward them with some incentives or other facilities. In fact, they deserve that. Employees should work willfully. To make them so, you have to reward them. Our brain needs relaxation. So, give your employees the fun they need. Allow your employees some small breaks throughout the day. Thus, they can get their mind refreshed and work actively. Managers have to think out of the box that working continuously for long times would get them better results. As per the statistics by OECD (Organization for Economic Co-operation and Development), the GDP per hour worked shows an inversely exponential nature. Here in the below chart, we see the relation between the hours worked and the productivity in the OECD countries between 1990-2012. As per the graph, the more the employees made to work, the down the GDP goes. Plan a small trip once a while. Organize events or parties on the special days of your organization. Provide your staff with fitness and yoga training facilities. These can keep them fit and peaceful. Remember, health is wealth. Motivating your employees and improving their productivity can’t be accomplished in a day or two. It takes some time and investment. But if you succeed in this, the results you would get are outstanding. You may have to give extra benefits to your staff, deploy new trainers and invest in some tools and software. But never think of the small expenditure you make on the day, think of the fruitful results that you get for the long-term. NextHow to make an Efficient Use of Employee Management Software?